How to prepare kids for a change in their parents’ work schedules that will reduce their time together? Should I take my 4 and 6 year old boys on an international vacation? I have a four year old daughter, and I am ready to start dating since my wife’s death. Are New Years resolutions a good idea for kids? How do I avoid spoilinig my kids at the holidays? Are parenting groups necessary or even a good thing? Can my child go to the mall alone? I am jealous of my (my son’s) nanny. Should I fire her? What is the right age for a child to have a cell phone? Should I correct my son’s best friend’s terrible manners and habits? What extra curricular activities should an 8 year old have? What do you do if you hate your marriage but love your lifestyle? Is my teenage daughter too involved in politics? How much fighting is too much fighting among siblings? My boy teen is shorter than his sister. Should I shelter my teen boys from inappropriate topics? Should a family rush to buy a new pet after their dog has died? Should a 13 year old be given a Fit Bit for her birthday? What is the right age for social media? My 11 year old want to do whatever my 14 year old does. Help! Is screen time all that bad? My nanny lets my 2 year old watch while I am at work. Is it okay for my 10 year old daughter to carry her old teddy bear wherever she goes? My teenage son wants to wear the same dirty clothes everyday! What should I do? What do I do when my daughter doesn’t tell the whole story about her sleepover plans? What do I do when Grandma and Grandpa spoil my kids rotten? How to I prepare my children for my mother-in-law coming to live with us? Should I tell the parents that their nanny is not doing her job with their child? My 9 and 11 year old kids are constantly bickering. Help! What’s going on with a 10 year old who has stomach aches before school? My 4 year old has turned into a monster! I caught my 14 year old drinking. How do I handle it? My toddler hates wearing clothes! My kindergartner is swearing and cursing. Is 14 too young to start dating? Should children see a therapist when parents divorce? Am I overbooking my child? How do I prepare a child for the birth of a sibling? How do I handle it when my kids compare the holiday gifts they receive? I’m worried that my child loves our nanny more than he loves me. What is a reasonable curfew for a teenager? Should we give our kids an allowance and how do I do it? How should I handle a teacher who picks on my 9 year old son? What do I do if we want our child to be into sports like us and he is not? How do I teach my daughter good manner when she hangs out with a friend who has none? How can I prepare my child for the the start of first grade? What should I do about my 7 year old impossibly picky eater? How do I avoid raising a spoiled, self entitled child? I feel like my toddler doesn’t like me. Kids who lose possessions and teaching the value of things. Typical toddler behavior and the right age for kids to get cell phones. A good way to explain death to a child and the right age to begin the birds and the bees talk. 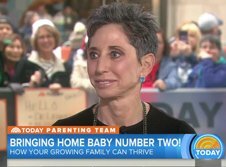 The question of allowing children a third year of preschool and how to raising twins to be individuals.